'Showmen' WINNER and DinDin & K.Will presented two amazing performances this week on 'Sugarman 2'. 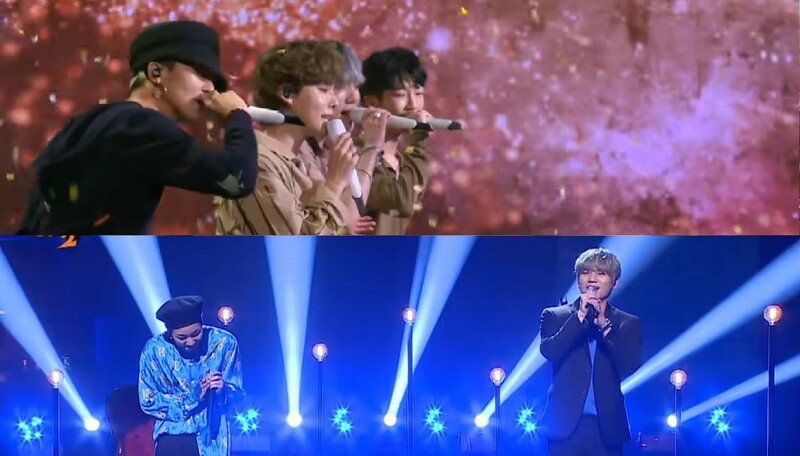 On the May 6th episode of the JTBC music variety show, WINNER and DinDin & K.Will battled against each other with remakes of famous songs from the past. While DinDin and K.Will teamed up for a nostalgic rendition of EZ-Life's "Your Sister, Not You", WINNER delivered a trendy, modern performance of "First Love" by Butterfly Effect. Although both renditions were equally calm and heartfelt, the vocal tones and the rap styles differed from one another in a refreshing way. In addition, the use of dim lighting and chairs by both teams especially highlighted their performances! Check out the stages below. If you were a live audience, which one would you vote for?